Earn $57.90 in VIP credit (5790 points)What's This? 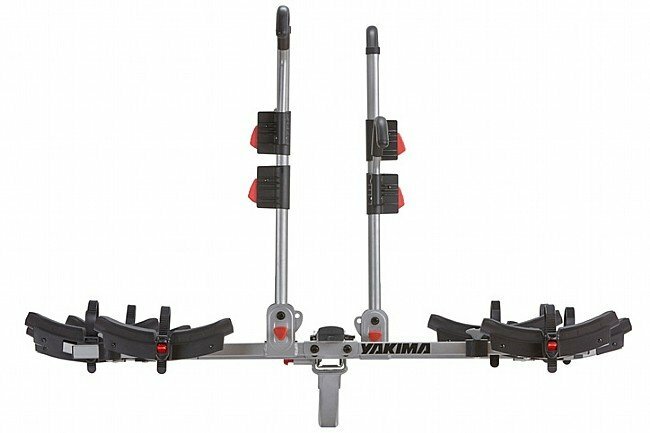 Yakima's Fourtimer Hitch Rack features low-height trays with a frame ratchet system for easy and versatile loading of up to four bikes, whether mountain, road, fat bikes, or a step-thru city bike with fenders. 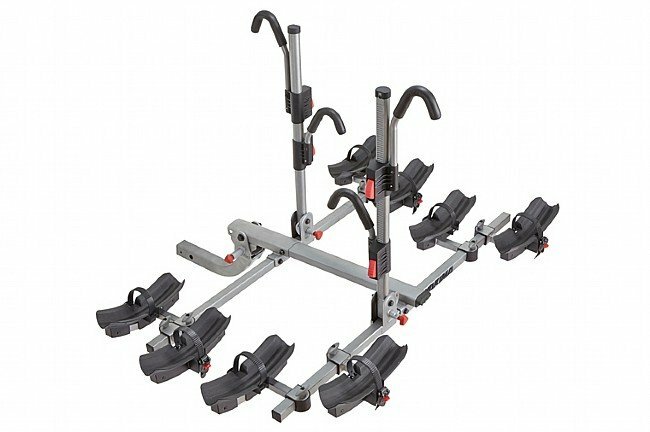 Adjustable hooks and wheel trays solve any bike-to-bike interference, and the outer two trays are also easily removable if a 2-bike capacity is all that's required. 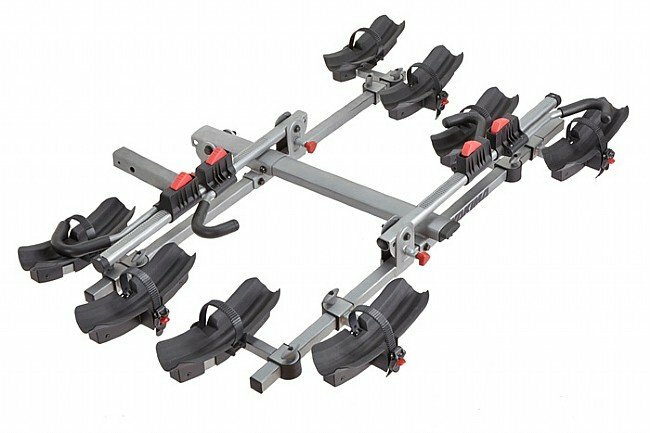 This rack mounts to 2” receivers, using the included HitchLock pin for secure installation. While installed, the rack can easily be folded up when not in use, or angled down in order to gain rear vehicle entry. Maximum bike weight is 45 lbs per bike, with a maximum wheelbase of 50”. Fat bikes may require longer Fat Strap ratcheting traps (sold separately). Compatible with 2” Class II or greater receivers only. Rack weight is 66 lbs.